As 2018 is about to end, you should be focused on setting the stage for 2019 by preparing your year-end marketing goals. By doing so, it would not only serve as a keystone for the coming year but also help you in marketing your law firm during the holiday season. 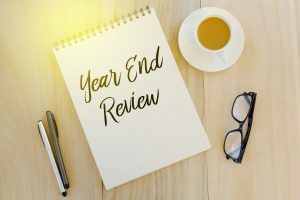 Discussed below are some points that law firms must take into consideration while devising their year-end marketing goals. Using a niche specific marketing strategy can be beneficial for legal marketing. This does not mean that you reduce your practice areas, rather, focus more upon some important areas. By doing so, this move can serve as a smart strategy for your online marketing campaign. Opting for a niche allows a law firm to build upon existing reputation as well as develop web presence. Choosing a niche is a focused marketing strategy, which helps law firms to emphasize that they are capable of handling the specific needs of their clients. Search engines are constantly evolving, making changes to their algorithms to enhance users’ experience. Thus, it is important to keep up with their changes to effectively maintain your online presence. In this endeavor, diversification of your online marketing strategies is extremely important. For instance, Google’s search page contains first listings, organic listings, map listings, and advertisements. A law firm should fight on all the fronts by getting smarter with their SEO, devising a PPC strategy, and improving their map rankings. Obtaining services of a reputable digital marketing specialist can be extremely helpful in this pursuit. From research reports to email questionnaires to simple online surveys, there are plenty of options available to learn more about your audience. Feedback from the users provides meaningful insights and helps businesses to learn about the different expectations of their clients. This will allow your law firm to understand demographics nuances and better serve your clientele. Hiring a digital marketing specialist to learn about emerging trends and user behavior can help you to save a considerable amount of time and resources while being able to generate more leads. Moreover, you need to evaluate your website and fix any issues or shortcomings to ensure that your prospective clients consider opting for your services. For example, stats by Rocket Matter show that 70% of law firms do not have a call-to-action (CTA) on their webpage while 27% do not even have their phone numbers listed. In the competitive online environment, these trivial mistakes can be detrimental for your business. Every law firm is unique, each having a different practice area, geographical location, and set of attorneys, hence, they require a marketing solution that is specifically customized to their requirements. Therefore, acquiring services of a digital marketing specialist can be advantageous for law firms who are looking to remain relevant and competitive online. If you want to know more about effective marketing solutions or have any questions regarding digital marketing for your legal firm, contact FORWARD marketing at (888) 590-9687.